January is always a bit of a gloomy month. Christmas is over, the weather is cold, and most of all, everyone is feeling a bit poor after the holidays. That doesn’t mean January has to be boring though. Here are a few free things to do in Leeds that won’t cost you a penny. And they’re pretty fun too! You know those days that are clear and crisp? When the sun is shining and there’s frost on the ground? Take advantage of these days by going for a walk in Roundhay Park. It’s the perfect place to blow away the cobwebs, and you’ll be able to get some gorgeous pictures for Instagram as well! Speaking of Instagram, have you ever stopped to look at how beautiful the city is? There are photogenic spots all over the city including Leeds Dock, Victoria Gate and Nation of Shopkeepers. Yes, a bar can be super Instagrammable. 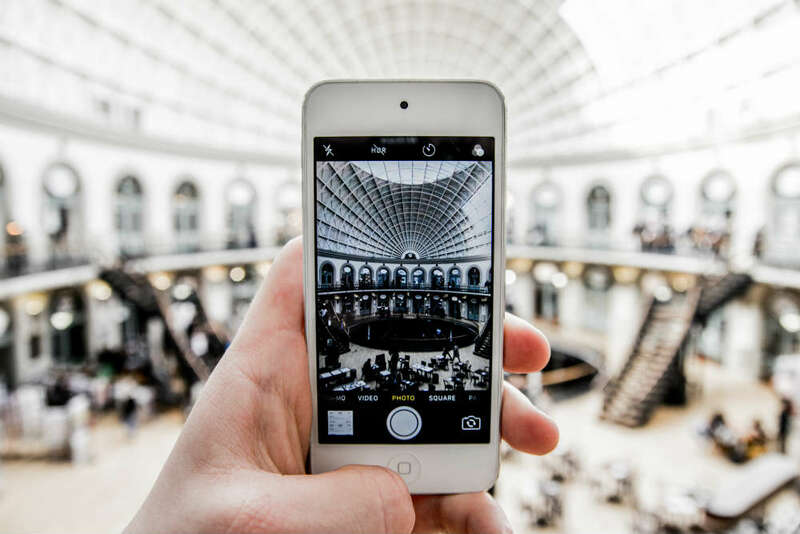 Either make a note of places around the city and make your own route, or search Leeds locations on Instagram to find out where the best Instagram scenes in the city are! This is definitely one of the easiest free things to do in Leeds and one that you can show off to your friends too! Once home to the Tetley Brewery, The Tetley is now a haven for anyone who loves art and creative crafts. There are three floors of exhibitions and there are often free workshops too so you can create something to take home with you. Best of all? It’s all free! Free entry AND free popcorn? What could be better? Crowd of Favours have been doing their cinema club for a while now and it’s as popular as ever. To reserve your spot to watch films such as UP, Hook, Scream and Mary Poppins, just drop them an email or send them a message on Facebook. The Royal Armouries down at Leeds Dock is a fascinating place, especially if you’re into your history. The Hall of Steel is the main attraction with over 8500 pieces of armour decorating the walls and the floors of The Royal Armouries focus on collections of arms and armour through the ages. Prepare to put aside at least a couple of hours for a visit here as there’s so much to see and do! What free things in Leeds are you doing in January? let us know over on Twitter at @rentinc!